Keith Sockman and I ride bikes together and the subject of energy drinks came up. I told him my philosophy of energy drinks at the time: “Never ride far enough to require any refreshment besides water.” I’m too cheap! Keith told me that he makes his own energy drink and has perfected the recipe over the years. Most of the benefit for a fraction of the price – this immediately piqued my interest! 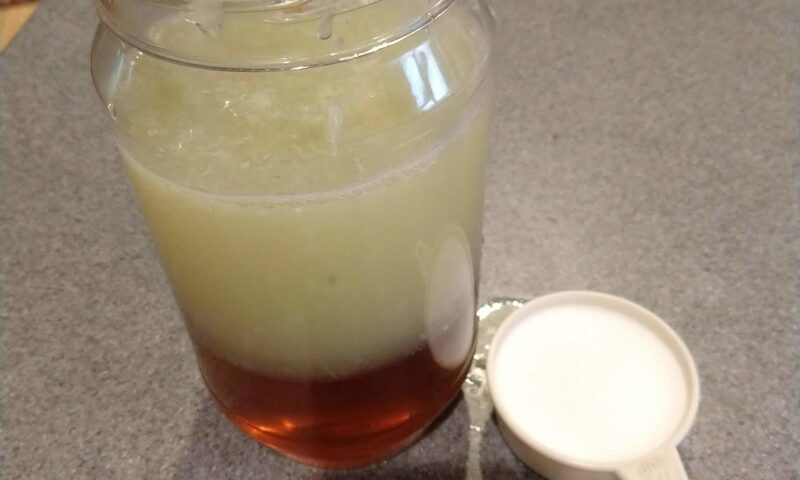 Combine the ingredients in a used mayonnaise or peanut butter jar, top it off with a little water, and put in the freezer. 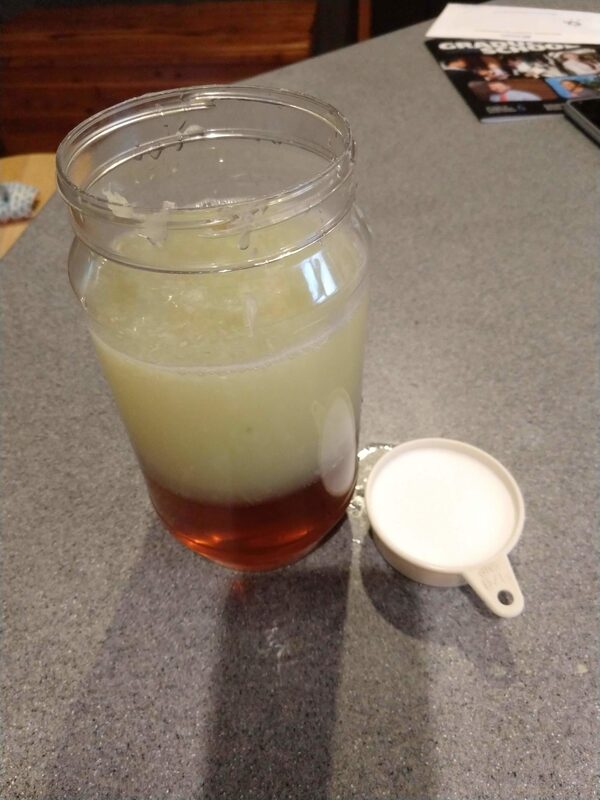 After a while it gains a slushy like texture, less so if you add less (or no) water. When you’re ready to make a bottle, put 3 tablespoons of the mixture in the bottom of the bottle and fill the rest up with water. It might taste a little salty at first but I quickly got accustomed to it. 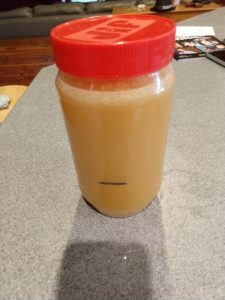 One tip – I reused the same old peanut butter jar and I used a sharpie to mark the 2 cup line so I can easily fill the honey to the line without wasting a lot of it by having to use a separate measuring cup. Have you tried this or something similar? Do you have any suggestions for the recipe? I’d love to hear them.